Unite to end TB. More information coming soon. 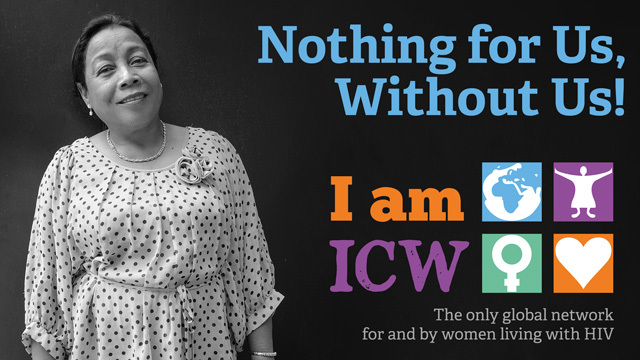 ICW with support from UNWomen invites you to join us for the Engaging with the Sustainable Development Goals (SDG's) Webinar to increase awareness of the SDG processes and open a dialogue about the potential role of women living with HIV in SDG prioritization and implementation at country level. Country networks of women living with HIV whose members participate in the webinar will be eligible to apply for mini-grants to undertake efforts to get involved in the SDGs! 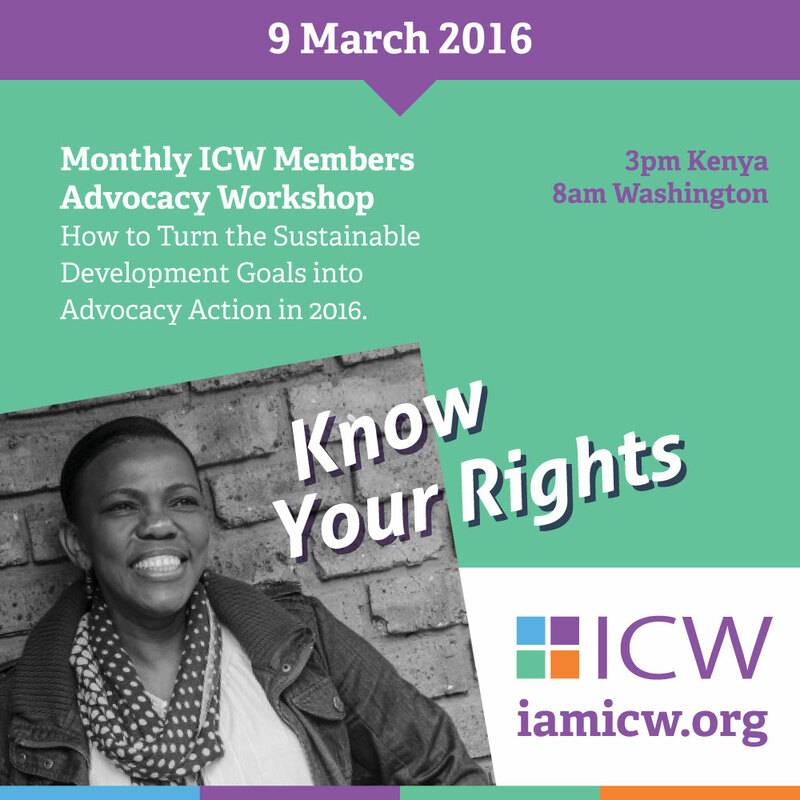 How to Turn the Sustainable Development Goals into Advocacy Action in 2016. 25 years of ICW/SGD's. More information coming soon. UNAIDS obervance day. More information coming soon.